Thanks a lot! Jag sukkot sameaj! I read the article about the lulav and the meditation. A couple of questions. Please tell me how to use the meditations, I have not used this diagrams before so not too sure. How do the diagrams work?, why are there 3 lines, does each one represent a column?, and therefore 3 groups of words?. How does one arrive at the diagrams. Perhaps all this questions represent a whole new article. Is there any redemption in succot?. How to use the meditation. After the blessing on using the Lulav (check your prayer book). Hold the Lulav and Etrog together. Keep the printed meditation page in front of you. Face each direction in the order it is printed, South – Chessed first. Scan the top lines to connect to the whole packet of energy. Then make a small step forward with your right leg only, keeping the left as an ancor. Extend your hands forward and shake (gently) the Lulav in upright position slightly tilted to the direction you are facing while scanning the row marked 1. return to original position and bring the Lulav and Etrog back and touch your chest scanning the letter ‘He’ in the leftmost column. Meditate to receive that specific light. repeat the same for row 2 and row 3. Change to North repeating the same process. After East you make upward movement by raising the Lulav up. next is the down direction. Keep the Lulav in upright position and lower your body and the Lulav a little bit. The consciousness is reaching the light that available in that direction. No need to touch the ceiling or the floor (This can void the connection). If you are in a crowded synagogue, avoid touching others. If someone is in your way, wait patiently until they give you the space. Be happy and joious to make this special connection. It is the light of Chassadim for the whole year. Exactly where did u actually obtain the points to post ““Lulav- Dial up YHVH ? 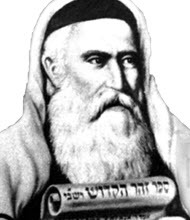 Rabbi Shimon.